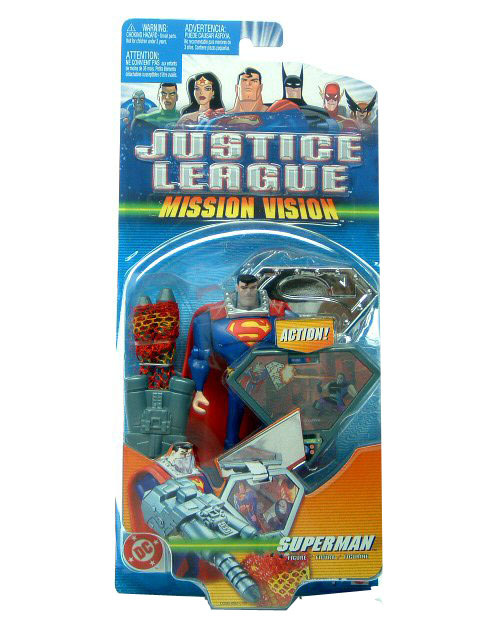 Justice League Superman Mission Vision Mint on Card. Original Release. Justice League, later known as Justice League Unlimited, was a recent animated TV series featuring the Justice League of America, including Superman, Batman, Wonder Woman and Supergirl, with a whole roster of other heroes.